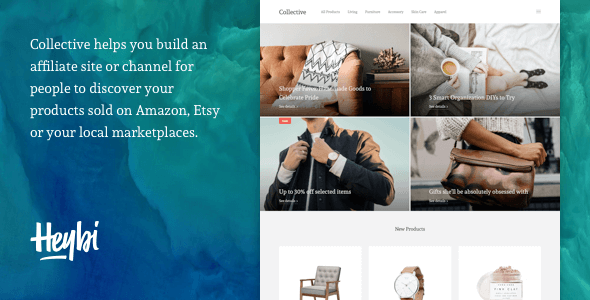 Whether you’re building an affiliate site to earn money from various Ecommerce such as Amazon, Walmart, Ebay, or just want to showcase your products sold at Etsy, Collective is a perfect fit. It features an Ecommerce-like grid-based layout on its minimal, clean and timeless design, so your website won’t look outdated any time soon. Collective is entirely responsive, which means your content will scale to fit any screen size, from desktops down to mobile phones. Collective is also based on the Layout version 3 and 3rd-gen template framework. This brings new show/hide widget capability and new comment form UI. Not just Amazon, you can link the Buy Button to any website. Source files used to create the theme are included in the file you’ve downloaded as well as the detailed instruction to get the theme up and running in no time.